Home > More News > AARP in Leon Valley! 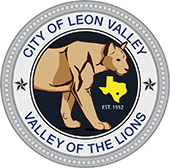 This free in-person tax preparation service will be at the Leon Valley Community Center located at 6427 Evers Rd. Leon Valley, Texas 78238, Tuesdays and Thursdays ONLY! Beginning February 5th - April 11th, 2019 from 9:00 a.m. to 2:00 p.m. This service is on a first come, first serve basis. To schedule an appointment please come to the facility and speak with a volunteer.